Marshmallow is rolling out to Android Wear devices, and if there is one device that really shines after the update, it is the Huawei Watch. Already a fantastic smartwatch, the Huawei Watch is only getting better, as the good folks at Huawei stated that they worked closely with Google to ensure that this smartwatch would not be outdated anytime soon. Inside the latest Android Wear update is support for external speakers, which the Huawei Watch does indeed feature. That means that you can now listen to music, take calls, and much more all from your wrist using this device. If you are still in the market for an Android Wear device, we present you with three reasons the Huawei Watch is worth buying. Much like the Moto 360 (2nd Gen), albeit not nearly as good, the Huawei Watch is available in many different options for whatever your outfit may be that day. While there are plenty of watches geared for working out and fitness, the Huawei Watch is unapologetically designed for those who are fashion-first. It’s a premium looking and feeling device, so when you wear it, Huawei intends on you feeling like a million bucks. 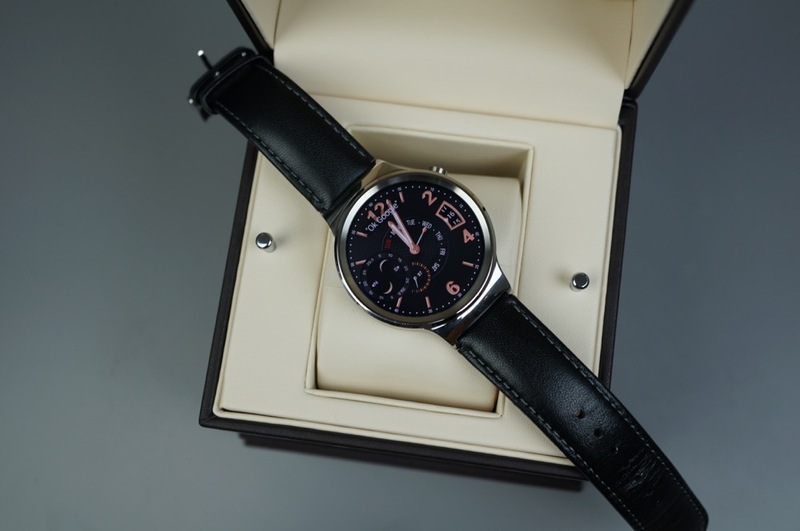 The standard (cheapest) option available is the Stainless Steel and Black Leather watch combo. This retails currently for $349 on Huawei’s website. However, for those feeling a bit more flashy, an all Rose Gold Plated option is available for $799 on Huawei’s store. In the middle you have Silver Mesh for $399, as well as an all Black look, retailing for $449 through the Google Store. For affordability, the Huawei Watch will receive no awards, but the quality is absolutely top notch, that I can say. If these prices still seem a bit steep, I would recommend the Moto 360 (2nd Gen) from Moto Maker. Starting at $299, you can buy a really good smartwatch, plus customize it a bit for not much more money. As stated in the opening, Huawei worked closely with Google to ensure that they were creating a smartwatch that would not become outdated within a year or two. A true example of this, before the inclusion was widely known, Huawei built in a speaker for audio feedback, something that Android Wear did not support at the time. As of this week (months after the device’s launch), the Marshmallow update for Android Wear is rolling out, and baked inside is speaker support. Thanks to this foresight, anyone rocking a Huawei Watch can listen to music, take calls, and hear reminders all from the wrist. This is something that not all Android Wear devices from 2015 can claim, but Huawei can. 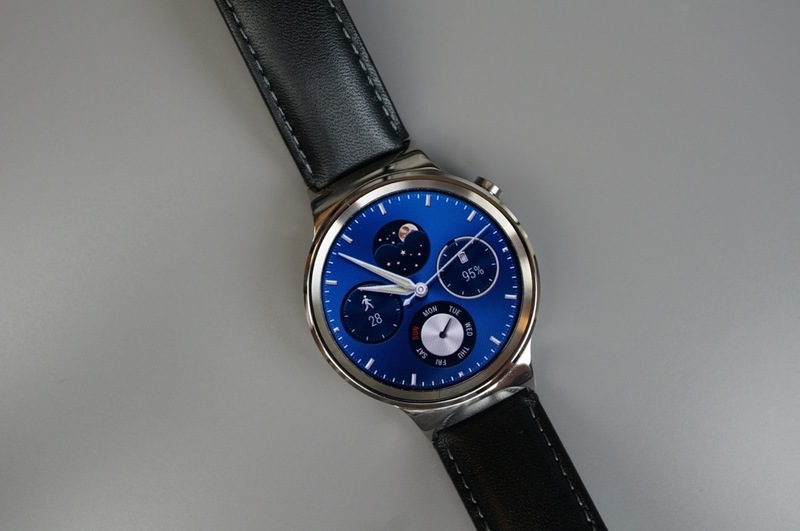 The specs inside of the Huawei Watch should also keep up just fine for the future of Android Wear. At this time, we don’t expect anything too extravagant coming in terms of software, so the device’s Snapdragon 400 processor and 512MB of RAM should maintain a well performing smartwatch with no problem. Also included on the device is a heart rate monitor, in case throwing on a silicone band and using it for workouts is something you desire, as well as a 300mAh battery. According to Huawei, the battery should last two days, given you turn off the always-on display feature. I will say, one feature that is lacking that we wish was included is a GPS sensor. While it is not necessary, it certainly would have added a bit more value to particular buyers. Let’s be real, for the second year in a row, Motorola has provided us with a flat tire. Yes, there is a logical and reasonable explanation for it (ambient light sensor), but does it not throw off the design of a circular watch? In my opinion, it does to some degree. For the most part, I can live with it, but that is where the Huawei Watch comes into light. Featuring a completely circular AMOLED display (with no flat tire), its resolution is 400 x 400, allowing digital hands to look crisp, as well as providing users with more intricate watch faces. The more pixels you have, the less blocky and pixelated things will appear on the display, which allows the Huawei Watch to provide the best watch faces to buyers. There are 40 pre-installed faces included, meaning there is easily something that everyone can appreciate. There are analog faces, completely digital, and everything in between. For comparison, the Moto 360 (2nd Gen) display features a resolution of 360 x 325. Not only that, but it is a backlit LCD, so in terms of colors and saturation, the AMOLED on the Huawei Watch is able to deliver a much more enticing viewing experience. 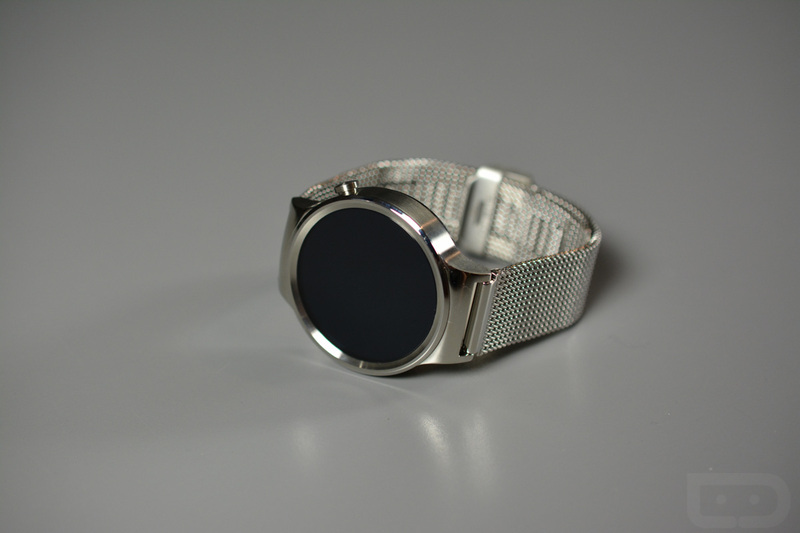 If you need a bit more information on the Huawei Watch, check out our complete review. Question of the Day: Who You Got in Super Bowl 50?